Happy Tuesday! Today is my birthday and in celebration I thought it would be fun to share this super easy and perfectly summery naked cake. Baking is just one of my many hobbies (in other words, I'm not some super pro baker) but when I make something, I want the finished product to be not only tasty, but pretty too. So I'm always looking for ways to make things look lovely in a simple and, I guess you could say, paired down fashion. And this works quite well for me because as I'm sure you know, the most understated and un-fussy things in life have a way of being the most beautiful. This cake included! One of my favourite things about the 'naked cake' is that it looks like a yummy, sugary food that you will actually want to eat. There's none of that polished, plastic-ey fondant nonsense. Of course, it's not that fondant cakes can't be nice, but the naked cake is ready to be eaten! It's rustic and delish and ready to picnic! 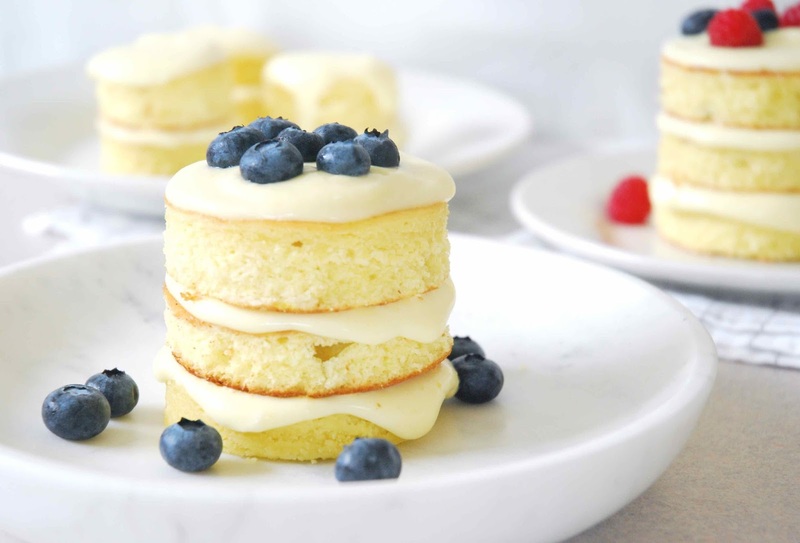 My naked cake is made with an easy lemon cake recipe and finished with the lightest and loveliest of lemon curds. Lemon curd is one of my favourite dessert foods. But the bright colour can be problematic. And don't think that I have a minute to spare for some dessert that is a glaring shade of bold dandelion. No way. If I'm going to take the time to prepare a treat it's going to be... sophisticated. So how do I get my lemon curd that most gorgeous of pale pale yellows, you ask? Well, you'll just have to read through the recipe to find out! With an electric mixer, cream sugar and butter. Beat in eggs one at a time, followed by the lemon juice. In a separate bowl, combine flour and baking powder. Whisk dry ingredients together and then add to wet mixture. Stir to combine. Finally, add milk and stir mixture until just combined. Pour into a greased and floured 9x13 inch pan. Bake at 350 for approximately 20 minutes. 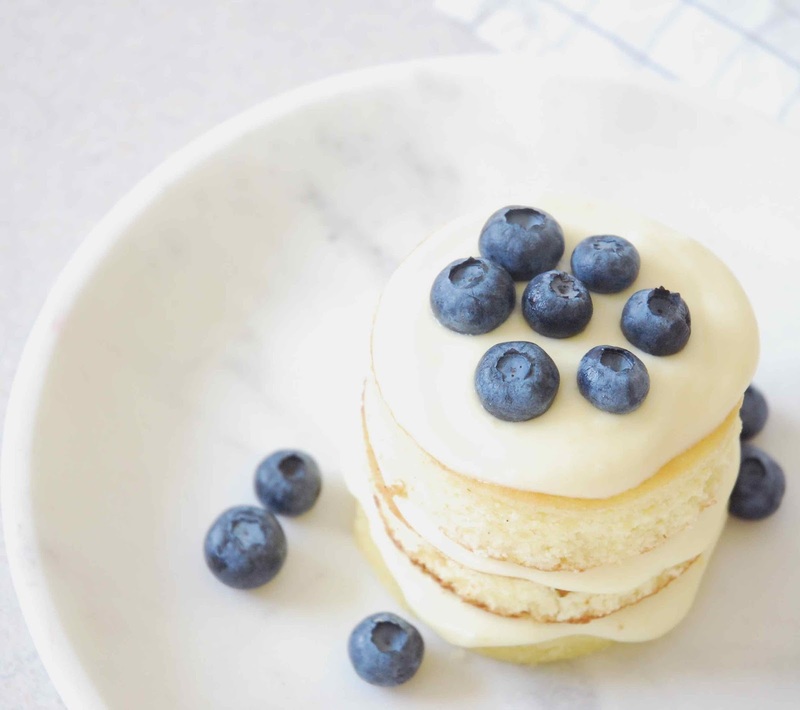 When cake has cooled slightly, pry it gently from the pan, and turn onto a cutting board. Whisk together lemon juice, zest, sugar and eggs. (Do this in either a heavy-bottom pot or a double boiler). Stir in butter. Cook over low heat, stirring constantly, until the curd begins to thicken. You should be able to see the marks of the whisk in the curd. At this point, remove curd from the heat and pour into a dish or bowl. Cover the surface of the curd with plastic wrap (the wrap should be in direct contact with the curd). Place the bowl in the fridge for an hour. The curd will continue to thicken. Once the curd has cooled, whip the cream in an electric mixer until it's fairly stiff. 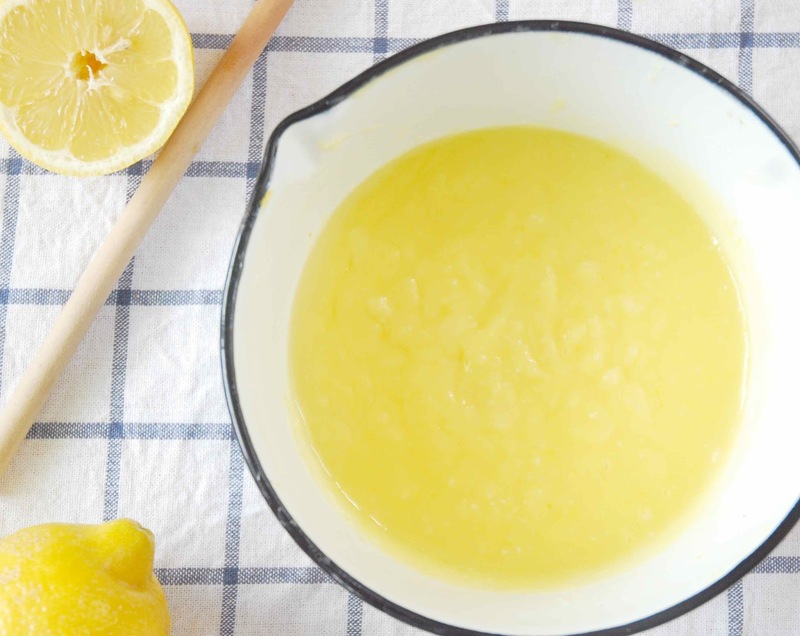 Fold about one third to one half of the cream into the lemon curd. You can add the cream according to your taste and colour preference. The addition of the cream makes the curd lighter, paler, and less tart. Make your perfect curd! Cooking Tips: It's a good idea to use a double boiler if you haven't done this before, or if for some reason you're like me and you constantly find yourself in a new and different kitchen with a stove that you can hardly even begin to trust. And you don't need any fancy new equipment. A double boiler can be a sauce pot of water with a stainless steel bowl balanced on it. (The bowl should touch the surface of the water, but not sink into the bottom of the pot). 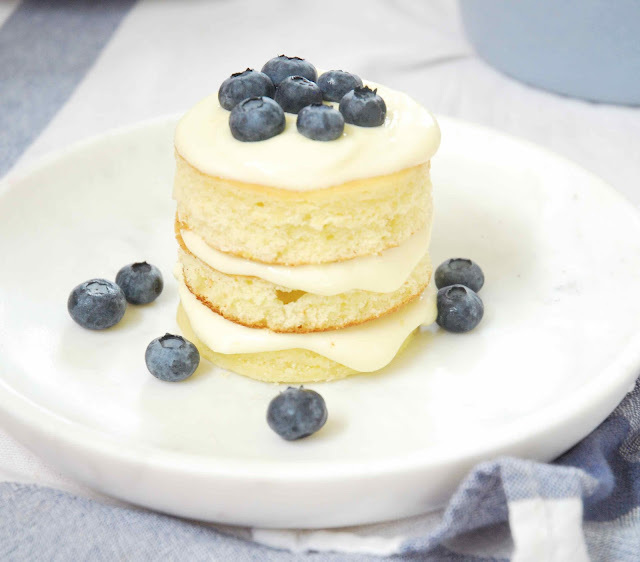 Ok. You've made a simple cake and a tasty and tasteful, I must add, lemon curd. 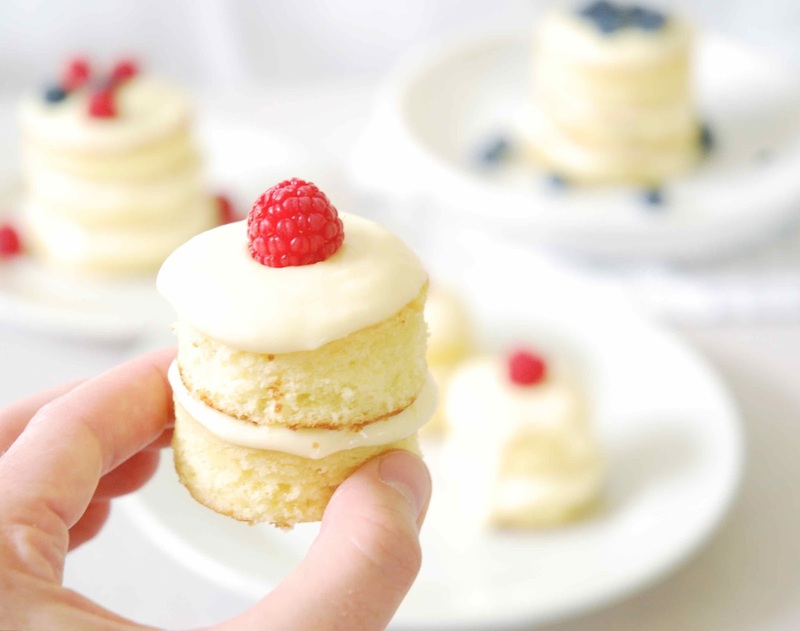 Now it's time to assemble your sweet little naked cakes! It's a good idea to do this right before you're planning to serve them, as they look best when they are their most 'natural', for lack of a better word. 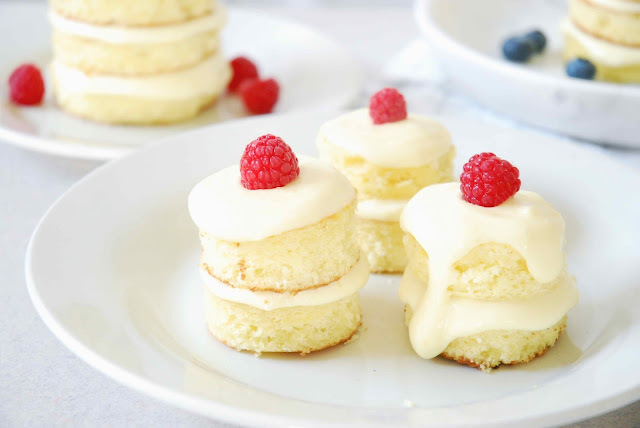 Cut out cake with a round cookie cutter. You can choose any size, whatever suits the needs of your baking project or vision. I used a 2 inch round. Once the cakes are cut, it's time to assemble. Start by placing one round on a plate. 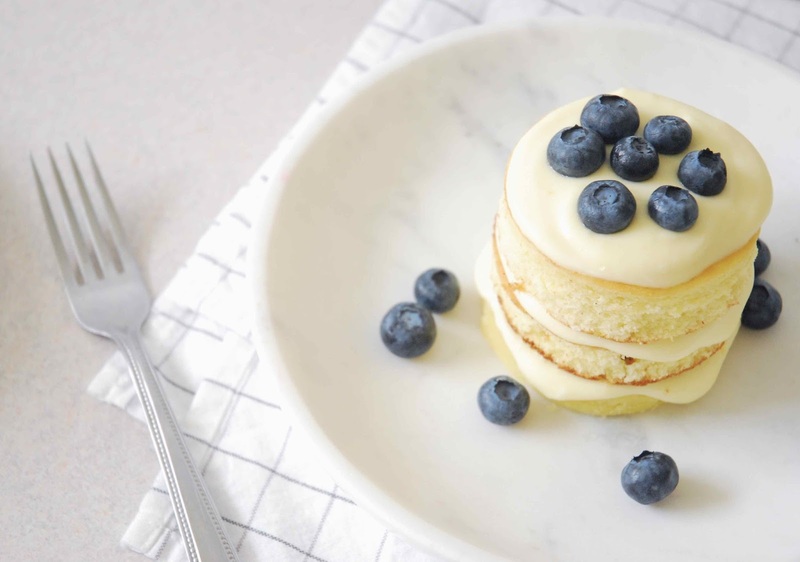 Take a spoonful of lemon curd and drop on to the cake. Use the back of the spoon of smooth out the curd. Move the back of the spoon across the curd in a circular motion and be gentle. When you have a nice even layer, place another round on to the curd and repeat the process. Finish the cake by placing a nice thick dollop of curd on top. It's also a good idea to reserve the best looking cake rounds for the 'tops'. All done! You can finish the cakes with fruits, berries, edible flowers or herb sprigs. 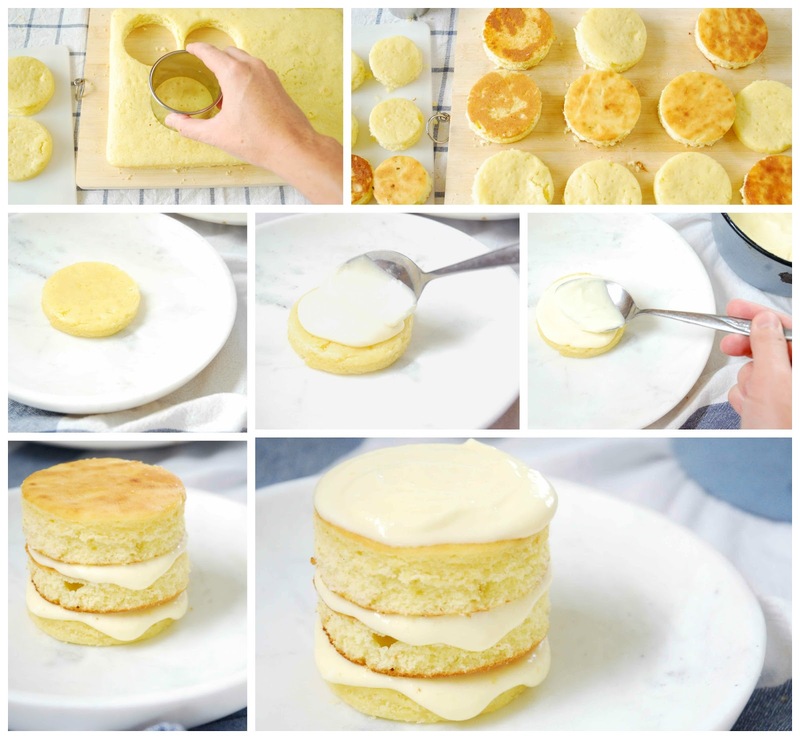 Here's a fun trick: use a smaller circle cutter to use up the excess or off-cut parts of the cake. These smaller guys are super easy to assemble (just don't try for three layers, two should do it) and they are great for kids! Happy belated birthday! This cake is gorgeous and looks perfectly summery and delicious. I am going to try this over the weekend. I can't wait to taste it. Thanks for sharing!